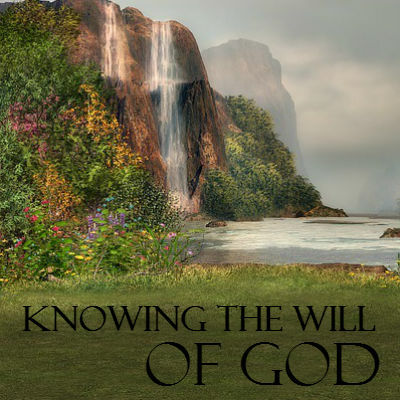 Look at the phrases “the will of God” and “God’s will. In the New Testament, the phrase fall into two categories. 1) God’s moral will: the do’s and don’ts. – His personal agenda for your life. – The plans that He has specifically designed for you. 1 Cor 1:1 “Called to be an apostle of Jesus Christ through the will of God.” This was God’s will for Paul. Let us look how to discover God’s will. – God is always more interested in revealing himself than simply revealing details about his will for us. – God wants to be involved in our lives in the most intimate way through a relationship that revolved around faith and trust. – God has the intention to draw us into a more intimate relationship with him. – He wants us to trust him. To know the will of God is the greatest knowledge and to do God’s will is the greatest achievement. What God has done for us through his word is to give us channel markers that assure us that when things line up, we can know we are following his will. 1) God’s moral will: will never lead you to do anything that is in conflict with his moral will. John 14:21 He who has my commandments and keeps them, it is he who loves me. And he who loves me will be loved by my Father. And I will love him and manifest myself to him. – A principle is a law of sowing and reaping. We always reap what we sow. Prov.11:24 There is one who scatters, yet increases more; and there is on who withholds more than is right, but it leads to poverty. Eph.5:15 Be very careful, then how you live-not as unwise but as wise. God has called us to ask him is this the right thing to do? Do you realize God has made a commitment to tell us what we need to know when we are trying to make wise decisions? God doesn’t want you making foolish decisions. He is interested in directing and guiding our lives providing help for effective decision making. The only way to know the mind of God is to know the Scriptures. The Holy Spirit has an essential role in helping us to know God’s will. When it comes to knowing and discovering the will of God, you cannot just trust your feelings. Have you asked God about it? It is time to know the will of God.